New quirky polling stations, including a pub, a hotel and a Buddhist centre, are being used in Northamptonshire for this year’s elections make sure there is no excuse for anyone to miss out on the chance to vote today. 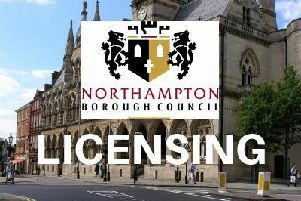 The new venues were proposed by Daventry Council in a bid to make it easier for as many people to vote as possible, following a review of previous processes. The changes include moving the polling station for Stefen Hill voters from Stefen Hill Sports Park to The Peppermill pub in Westerberg Square and moving the station for Lang Farm, Middlemore and Monksmoor voters from Ashby Fields School to the Daventry Court Hotel. The polling station in Kelmarsh has been moved from The Limeshed at Kelmarsh Hall to the Nagarjuna Buddhist Centre, and from St Botolph’s Church in Church Brampton to The Bramptons Primary School, in response to comments received from members of the public, councillors and other organisations on the suitability of current polling stations in the district. Ian Vincent, the council’s CEO and returning officer, said: “The aim of the review is to improve voting facilities for residents and to make sure polling stations are accessible to all. “In some cases that has meant looking beyond what you might call the more traditional venues, in order to provide facilities that best fit the needs of local people. More obscure polling station venues around the county include the hallway and living room of June Thomas, who lives in the Old School House in Winwick, in the north-west of the county. Possibly one of the smallest stations in the UK, it may also be one of the comfiest, as she will be offering tea and sofas to waiting voters. Visit the election section of your local council website to check locations and opening times of your nearest polling stations.